a figure of speech in which a name or descriptive word or phrase is transferred to an object or action different from, but analogous to, that to which it is literally applicable. In the simplest formulation, when we use a metaphor we have two thoughts of different things active together and supported by a single word, or phrase, whose meaning is the resultant of their interaction. Richards identified the two thoughts as the “tenor” the “vehicle.” These he does not define, but the tenor is basically the original idea, and the vehicle is the new idea that brings to light or accentuates some aspects of the original. Thus when Romeo says that Juliet is the sun, Juliet is the tenor and the sun the vehicle. In cognitive linguistics, the tenor is generally termed the “target” and the vehicle is the “source” (Kövecses, 2002, p 4). Black (1993) proposed that the interaction described by Richards is the projection of some characteristics of the vehicle upon the tenor. The mystery of metaphor concerns which characteristics get projected and which do not. The “burnish’d throne” is a simile, but its burning is a metaphor. analogy – an extended simile used to explain one process or event in terms of another that is more clearly understood. conceit – a metaphor (or simile) wherein the comparison is highly unusual and intricately detailed. symbol (Greek syn together + ballo throw)– a simple metaphorical expression typically used as a stand-in for an abstract idea (“cross” for the Christian religion, “rose” for love). Symbols can enhance the emotional impact of a statement by making the idea concrete. synecdoche (Greek syn together + ekdoche interpret) has been variably defined over the years. It is usually considered as a subclass of metonymy wherein the whole is signified by the part. 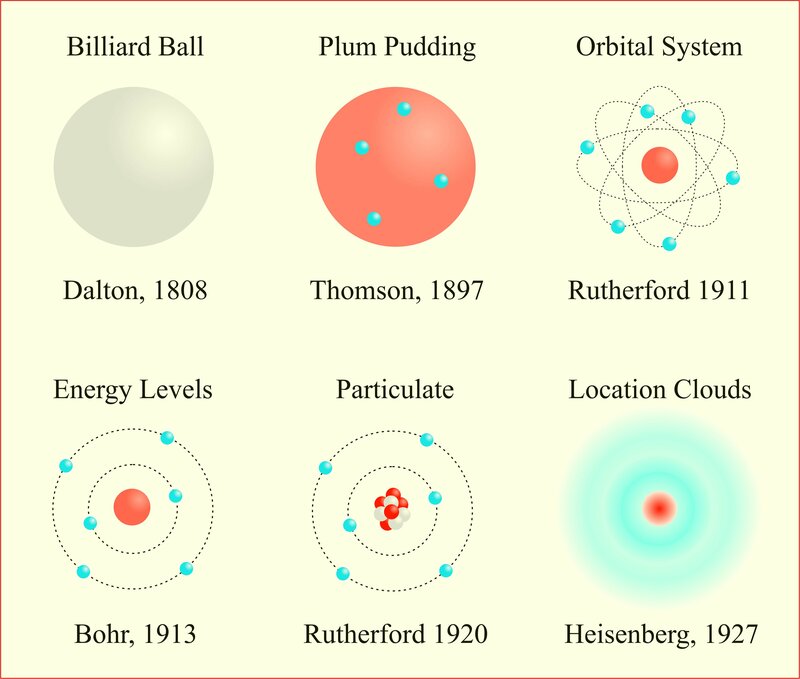 They measure the circumference and sound the depths of human nature with a comprehensive and all-penetrating spirit, and they are themselves perhaps the most sincerely astonished at its manifestations; for it is less their spirit than the spirit of the age. Poets are the hierophants of an unapprehended inspiration; the mirrors of the gigantic shadows which futurity casts upon the present; the words which express what they understand not; the trumpets which sing to battle and feel not what they inspire; the influence which is moved not, but moves. Poets are the unacknowledged legislators of the world. This is hyperbole. However, much of our normal language evolves from metaphor. The use of “leg” in relation to a table was once metaphorical, but is now just one of the many accepted meanings of the word “leg.” Etymology records the passage from figurative to literal. Present meaning is sometimes equivalent to the metaphorical origin (“metaphor”- carried over), sometimes related (“malaria” – bad air) and sometimes almost completely unrelated (“muscle” – little mouse). Of life at once untie. The central metaphor is that life is a knot that death can untie. However, this poetry is more than metaphor. Shakespeare invented the word “intrinsicate” probably as a combination of “intricate” and “intrinsic.” Perhaps “transient” can also be heard within the word. And the metaphor of “knot” brings “not” immediately to mind – life is defined by its negation. Metaphor has an ambivalent relationship with truth (Searle, 1993). A metaphorical statement is not literally true. Juliet is not the sun. Yet literal falseness is not a defining aspect of a metaphor. The statement ‘Juliet is not the sun.’ is literally true but can still be metaphorical – perhaps she shines more subtly than the brazen sun. Even when one makes a comparison in the form of a simile, truth is still not certain. We do not know what determines that something can be “seen as” something else (Zwicky, 2003). Most discussions of metaphor, however, contend that a metaphor can express truth –“ring true” – despite being literally false (Binkley, 1974). The meaning of a statement depends on much more that its literal translation. The intent of the speaker, the context of the statement and the sensitivity of the hearer all contribute to meaning (Speaks, 2014). And whether or not that meaning is true depends on the shared knowledge of speaker and hearer. So Davidson (1978) insists that the speaker of metaphor means what he or she says. In respect to meaning and truth metaphor is then no different from other modes of expression. The subtle relationship of metaphor to truth, however, made some of the early modern philosophers skeptical about anything that could not just be said in plain English. the use of Metaphors, Tropes, and other Rhetoricall figures, in stead of words proper. For though it be lawfull to say, (for example) in common speech, the way goeth, or leadeth hither, or thither, The Proverb sayes this or that (whereas wayes cannot go, nor Proverbs speak); yet in reckoning, and seeking of truth, such speeches are not to be admitted. (Chapter V). Yet this comes from the author who used the metaphor of Leviathan to describe the state, wherein the residents transfer all power to a sovereign in return for the maintenance of civil order. The frontispiece of his book – an engraving by Abraham Bosse shows the sovereign, composed of all his people, wielding the sword of civil power and the crozier of religious belief. The Latin inscription quotes from the Book of Job (41:24): Non Est potestas Super Terram quae Comparetur ei (There is no power on earth which can be compared to him). Scientists are much less skeptical of using figurative language than these early modern philosophers. Metaphor is the way to see what is invisible. Analogy is the way to explain how things work. 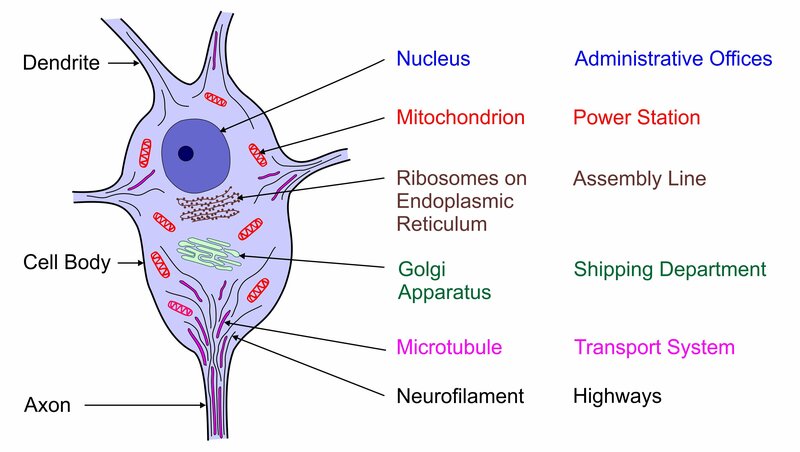 Other metaphors can help explain the workings of the different organelles in a cell. The following views the neuron in terms of a manufacturing company. Religious scripture is permeated with metaphor (Soskice, 1985). How else can one describe what is beyond human understanding. The most famous metaphor for God in the Judeo-Christian tradition is that of the Good Shepherd (Psalm 23, John 10: 1-21). 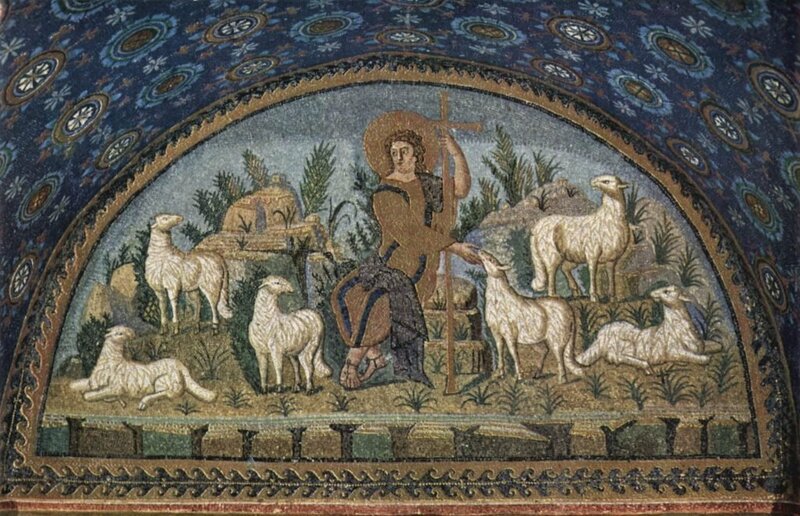 This is illustrated in the 5th-century CE mosaics in the Mausoleum of Galla Placidia in Ravenna. This metaphor tells us that a force in the universe takes care of us like a shepherd takes care of his sheep – leading us to food and shelter, protecting us from danger, finding us when we have gone astray, if necessary dying that we might live. Thus might we gain some insight into something far beyond our understanding. Resurrection is the refusal to be imprisoned any longer by history and its long hatreds; it is the determination to take the first step out of the tomb. It may be a personal circumstance that immobilises us, or a social evil that confronts us: whatever it is, we simply refuse any longer to accept it, because the logic of resurrection calls us to action. It follows, therefore, that if we say we believe in the resurrection it only has meaning if we are people who believe in the possibility of transformed lives, transformed attitudes and transformed societies. The action is the proof of the belief. So I end with what may appear to be a paradox: I can say I believe in that resurrection then, the Jesus resurrection, because I see resurrections now, see stones rolled away and new possibilities rising from old attitudes. If a belief is an action indicator rather than a purely mental event, belief in resurrection means that I must commit myself to the possibility of transformation. That means continuing to struggle with the intractability of my own nature; more importantly, it means joining with others in action to bring new life to human communities that are still held in the grip of death. (p 141). Another tenet of the Christian belief is the idea of the Second Coming – when Christ will return to the earth to judge what we have done and to reign in a new and perfect world. 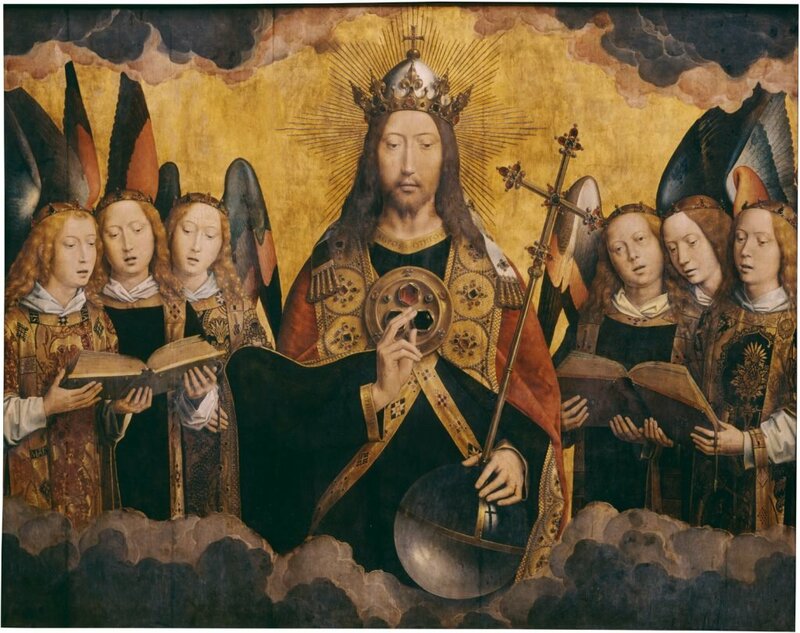 Christ in his majesty is depicted in Hans Memling’s Christ with Singing Angels from 1480 CE. Should a Christian believe in this Second Coming as something that will actually occur? Or is it a metaphor for life leading ultimately toward peace and prosperity? Provided that we follow the injunctions of the religion to love our neighbor. In the closing scene of Shakespeare’s Hamlet, Horatio bids farewell to the dying Hamlet. Angels are a metaphor for the forces that might take care of us in our suffering, accompany us through whatever happens at the moment of death, and celebrate us when we have done well. There are no angels. Yet if there were, they would be with Hamlet. Horatio finds comfort in metaphor. Black, M. (1993). More about metaphor. In Ortony, A. (Ed). Metaphor and thought. (pp 19-41). Cambridge UK: Cambridge University Press. Binkley, T. (1974). On the truth and probity of metaphor Journal of Aesthetics and Art Criticism, 33, 171-180. Davidson, D. (1978). What metaphors mean. Critical Inquiry, 5, 31-47. Donoghue, D. (2014). Metaphor. Cambridge, MA: Harvard University Press. Gibbs, R. W. (1994). The poetics of mind: Figurative thought, language, and understanding. Cambridge UK: Cambridge University Press. Hobbes, T. (1651/1929). 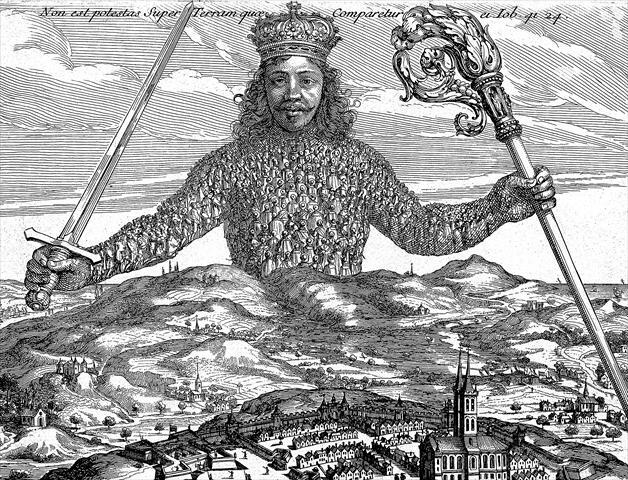 Leviathan, or the matter, form, and power of a commonwealth ecclesiastical and civil. Oxford: Clarendon Press. Holloway, R. (2001). Doubts and loves: What is left of Christianity?. Edinburgh: Canongate. Kövecses, Z. (2002). Metaphor: A practical introduction. New York: Oxford University Press. Lakoff, G., & Johnson, M. (2003). Metaphors we live by. Chicago: University of Chicago Press. Reddy, M.J. (1993). The conduit metaphor: a case of frame conflict in our language about language. In Ortony, A. (Ed.) Metaphor and thought. (pp. 164-201). Cambridge, UK: Cambridge University Press. Searle, J. R. (1993). Metaphor. In Ortony, A. (Ed.) Metaphor and thought. (pp. 83-111). Cambridge, UK: Cambridge University Press. Shelley, P. B. (1821/1915). A defense of poetry. In Salt, H. S. (Ed) Selected prose works of Shelley. (pp 75-118). London: Watts. Speaks, J. (2014). Theories of meaning. Stanford Encyclopedia of Philosophy. Zwicky, J. (2003). Wisdom & metaphor. Kentville, NS: Gaspereau Press.